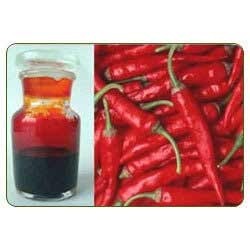 We are a leading Exporter of oil soluble capsicum oleoresin and water soluble capsicum oleoresin from Hyderabad, India. 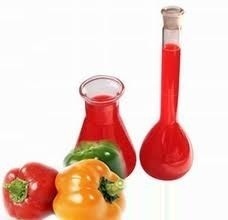 We are one of the prominent manufacturers and suppliers of a wide range of best quality Oil Soluble Capsicum Oleoresin. The offered herbal product is widely demanded in major sectors of various industries. Customers are availed this whole range at comprehensive prices. We have incorporated the best quality dried chili in this range along with standard processing procedures and practices. We are providing our patrons with this exclusive range of best quality Water Soluble Capsicum Oleoresin that are available with us in standard packaging. The offered pepper capsicum range can be availed form us in the most comprehensive and market leading prices. Made from hygienically processed dried fruits of red chillies the offered range is also known with the biological range of capsicum annum. Processed as per standard, this product has various specifications to look for.